Are you thinking of installing plantation shutters, but confused which to choose between? Choosing what your plantation shutters bay window will look like is a job that can require a lot of thought. In other words, selecting window shutters for your French door is highly dependent on your personal preferences. Similarly, finding a best option for plantation shutter bay window is a tough job. 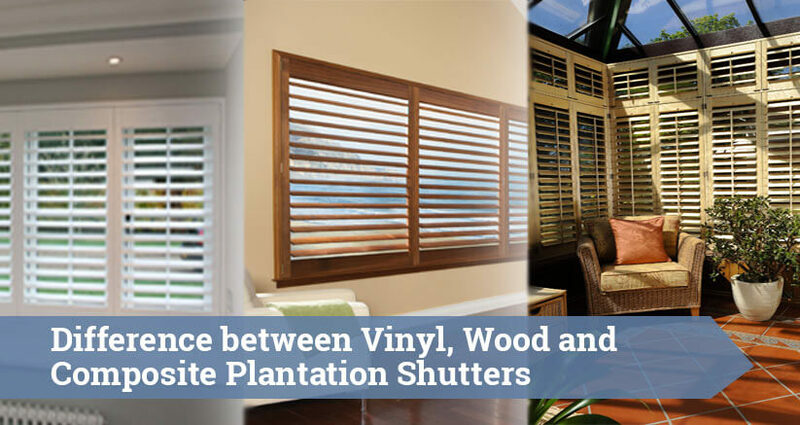 Plantation shutters come in all shapes and sizes, so when selecting the best suited option for you, the above-mentioned advantages may help you make the right decision. Vinyl shutters are preferable because of their light weighing character and are comparatively more cost effective than wood. It can best for places like bathrooms or kitchens, they are scratch proof and avoid the effect that humidity & moisture can have on it. Talking about wooden plantation shutter bay windows, they are the best option if you love to try new designs every now and then, because they are completely re-paintable. This is one of our wooden plantation shutters best known strength. 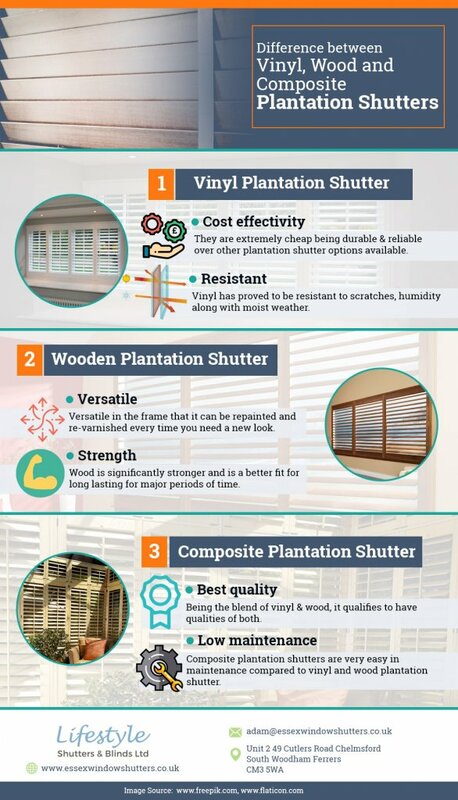 On the other side, the composite plantation shutters are the combination of both vinyl and wood, comprising of both of their properties. Composite shutters are also very low maintenance, making them easier to look after. Just like every coin has two sides, the selection of the plantation shutter has its good side and bad side. Hopefully these advantages have proved you what best fits for your requirements and budget. Do Shutters Provide Complete Blackout in a Room?